I have something to admit. For the past 3 years I have been addicted to reading everything I can about feminism and its history. Over 30 books later, I’ve kept this mostly to myself because I felt like I was intruding on a very serious cause by nerd-ing out on this topic. However a few nights ago I had a conversation with two wonderful women where I shared my love for learning about feminism. To my surprise, they encouraged me to share this with the world because most men who want to learn about feminism don’t know where to start and a male voice may help guide men along. The reason that I set on this quest to learn everything I can about feminism was because 3 years ago I started frequently associating myself as “feminist”. I identified with the term everywhere from conversations with friends, to voicing my political ideology on Twitter, to my Tinder bio. Then I realized many men were doing the same exact thing, then it hit me. I don’t really know what it means to be a feminist beyond supporting equal rights. This was something I needed to fix, so I counted on the two things I care about the most: history and pop culture philosophy. Now what is the point for men to learn about feminism beyond the surface socio-political terminology? From my point-of-view, it’s among the best way develop emotional intelligence by deeply empathizing with 50% of the world including all other genders beyond the binary. Better yet it’s a perfect way to start learning about what is true masculinity. 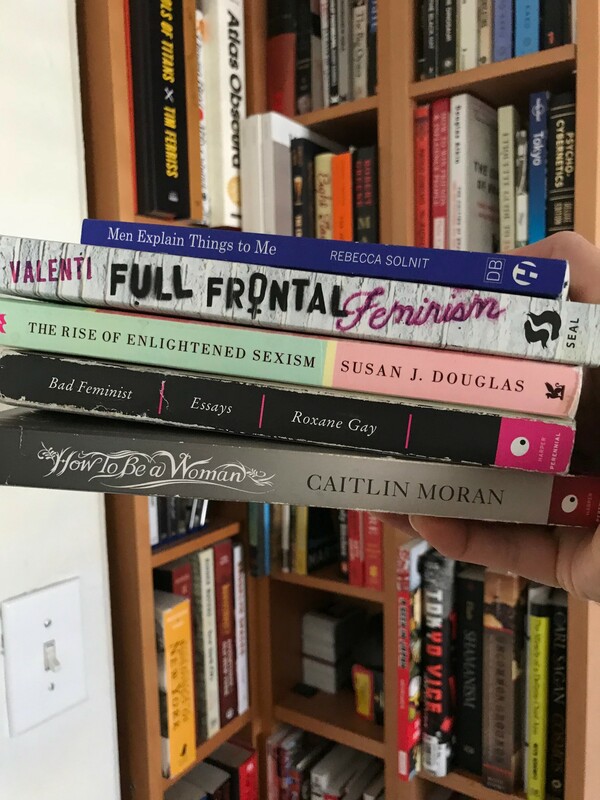 Here the top five books to gather a deeper understanding about feminism. Note: In no way do I mean to sound like an authority on the subject. I’m merely a bookworm. This list is strictly from my cis-white(ish)-male perspective. For any women reading, feel free to school me on my choices of books or recommend better ones. These five books were chosen to represent feminism in 5 distinct ways. Now, I open up the floor to the women out there: what books on feminism do you recommend us men to read? Let us know in the comments.